Crowley said she focused all her efforts on print news when she first arrived at UConn. But after studying broadcast journalism in a class taught by adjunct Prof. Steve Kalb, she said became much more interested in television news production. “He opened my eyes to the fact that there is more to do in journalism than just print journalism,” Crowley said. Kalb’s class inspired her to seek out and land a summer broadcast internship with MSNBC on the “Dylan Ratigan Show,” giving her professional experience with TV news production. 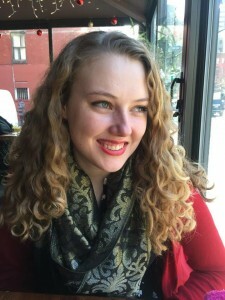 When Crowley returned from her MSNBC internship in the fall of her senior year, she took on the heavy duty role of editor-in-chief of The Daily Campus. And she found her aspirations broadening again. Through the day-to-day management of The Daily Campus, Crowley said she was able to see all aspects of the news business, especially online media. “My interest is that I love media. Whether it’s online, print, TV, whether it’s marketing or advertising, I just really like media,” Crowley said. Crowley said she considers the professors the most beneficial aspect of the UConn journalism department, whose classes influenced her future interests within the news industry. “There’s not that many [professors] and because our classes are small I got to know every professor on a first name basis. I got to know them all well enough where I felt like I could ask any of them for advice,” Crowley said. While Kalb’s classes sparked her interest in broadcast media, Crowley said he was also a mentor and would keep in touch during her internship and her new job to give his input on the way things were being done. Crowley said she also enjoyed Assistant Prof. Marie Shanahan’s Introduction to Online Journalism class. “I took [online journalism] as I was realizing how important online is, and how interested I was in digital, online and social media for media companies,” she said. Upon graduating from UConn in May 2013, Crowley was accepted into the highly competitive NBC Page Program in New York City, where she worked for eight months. “As a page, you are basically the face of NBC,” she said. The page program allowed Crowley to gain experience in a variety of positions at NBC, including marketing, news and guest relations. She assisted with news and entertainment shows including “The Today Show,” “Saturday Night Live” and the former “Late Night with Jimmy Fallon.” For three months, she worked specifically in NBC’s News public relations department. Crowley now works at NBC Universal in a marketing and advertising department called the Content Innovation Agency. As a creative coordinator, she said she contributes to the development and execution of cross-portfolio, cross-platform integrated marketing campaigns for advertisers. As Crowley has moved up at NBC, she acknowledges it wasn’t an easy path. “There was a time where I was not making a lot of money and had to live in New York City and pay my rent and my bills. It got tight,” Crowley says. Yet she has no plans to move or change careers. “I grew up always wanting to be in New York and now I’m here,” she says. Crowley said she grew up hearing stories from her mom about her years as a starving actress in the city. Making little money was a small price to pay to be surrounded by friends and the energy and excitement at the epicenter of the media world. “[New York City] seemed like a place where adventure was always around the next corner and opportunity was abundant,” Crowley says. UConn Journalism will celebrate its 50th anniversary on April 15-16, 2016 with special events on campus in Storrs. All alumni and friends are invited to participate in interesting talks, food, tours, drop-in workshops and lots of time to visit with old (and new!) friends. Please RSVP by April 4.